The reincarnation of Tibetan lamas became politicized when in 2007 China’s State of Religious Affairs Bureau issued its Decree No.5, ruling that reincarnations of all tulkus or living Buddhas, were only valid once approved by the state. Perhaps Chinese bureaucrats believed the decree would ensure that something like the controversial succession of the Panchen Lama in 1989 could not reoccur. The tradition has been that when the Dalai Lama dies, the duty falls on the Panchen Lama to find his new reincarnation, and in turn a new Panchen Lama also has to be recognized by the Dalai Lama. Given the strategic importance of the two lamas in Tibetan history, it is no wonder, following the death of the 10th Panchen Lama, Beijing moved quickly to recognize Gyancain Norbu as his successor. In protest, the Dalai Lama declared a six-year-old boy called Gedhun Choekyi Nyima to be the true reincarnation the following year. In a typically efficient Chinese manner, the six-year-old boy promptly disappeared from public view and is still thought to be under house arrest. The decree will also mean that following the current Dalai Lama’s death, only a Beijing-backed candidate will stand a chance of being recognized. Any other contender will simply be dismissed as a pretender. This is perhaps why, back in 2007, the Dalai Lama publicly suggested that he might not want to reincarnate. Later on, he reportedly told author Matteo Pistono that he would “be reborn outside of China’s control”. 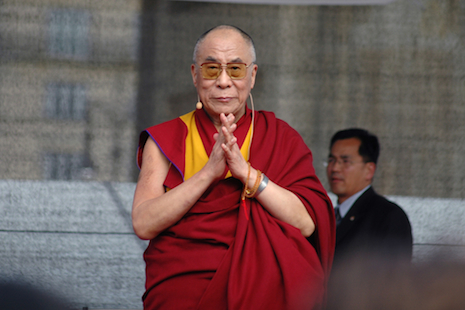 In 2014, however, the Dalai Lama, in an interview with the German Newspaper Welt am Sonntag, implied that he had decided against reincarnating after all. Johannes Nugroho is a writer from Surabaya.